Leeds United manager Uwe Rosler has said that he admires new signing Tom Adeyemi's determination. Adeyemi joined the Championship side on Tuesday on a season-long loan deal from Cardiff. 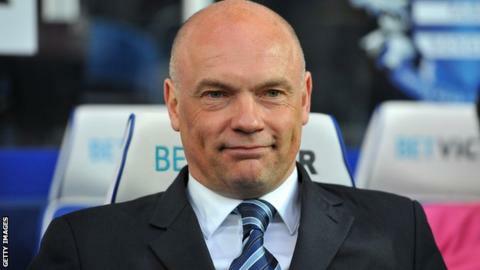 Rosler previously worked with the midfielder at Brentford and praised his ability to adapt to the different levels of football. "It was too good an opportunity to turn down to work with him again," Rosler told BBC Radio Leeds. He continued: "He's a smashing lad, very ambitious - a top professional. "I always followed his progress. We needed that sort of player, someone who gives us different options." Adeyemi started his career at Norwich and while there had loan spells at Bradford in League Two and Oldham in League One before his stint at Griffin Park. Rosler offered Adeyemi a three-year deal when he was manager of Brentford, but the midfielder opted to join Birmingham instead. "In many ways he has done his career the hard way," Rosler added. "I admire him for the way he did it, going out on loan to different clubs. "We have good midfielders but we needed someone with different qualities and Tom gives us that."